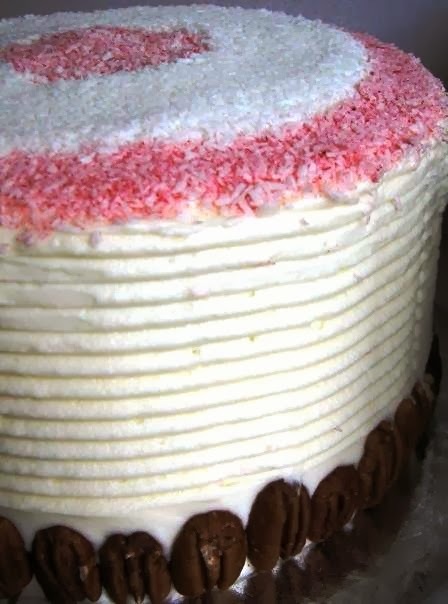 United States, the cake and its original recipe have been claimed by the restaurant at the Waldorf Astoria (based in New York), and it was also served (and the employees sworn to secrecy) at the famous Eaton’s department stores in the 1940’s and 50’s here in Canada. 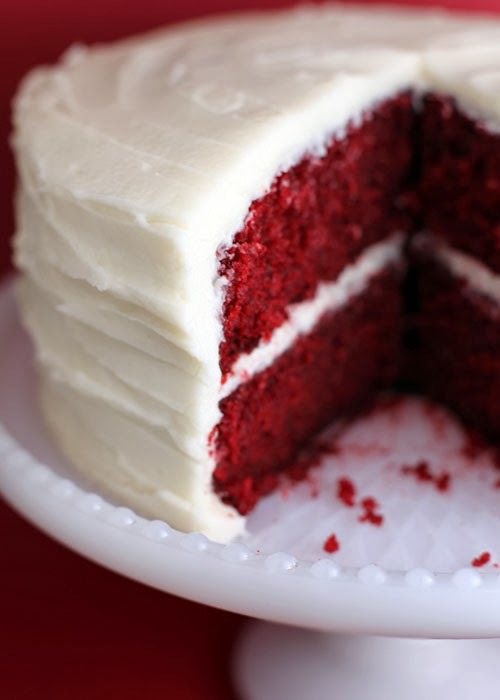 In a nutshell, the term “red velvet” is used to describe a cake that has a deep red, or reddish-brown hue throughout, has a hint of cocoa flavour (I consider it as tasting like “red”), and is traditionally iced with a cream cheese or a French-style butter+roux icing (also called an ermine icing). James Beard (a famous chef and author, and the namesake of the James Beard Foundation annual prize for culinary excellence), denotes in his 1972 reference book, American Cookery, that there are three main types of red velvet cake preparations; while they all use red food colouring, their major difference between them is in the fats used (butter, shortening, or vegetable oil), and the necessary prep work required when using those fats. 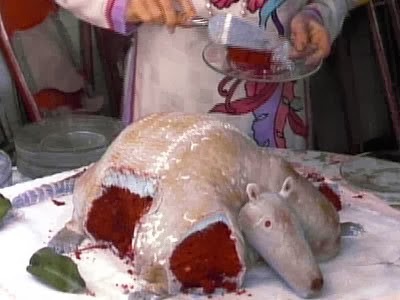 When the red velvet craze came back around in North America a few years ago (supposedly due to the hideous red velvet armadillo-shaped groom’s cake featured in the movie Steel Magnolias – pic at left), my customers started asking me for red velvet cakes. Now, I hadn’t made one at this point, mainly because I really didn’t want that much red dye in anything I made. But, I was willing to experiment, so I learned more about natural red dyes. 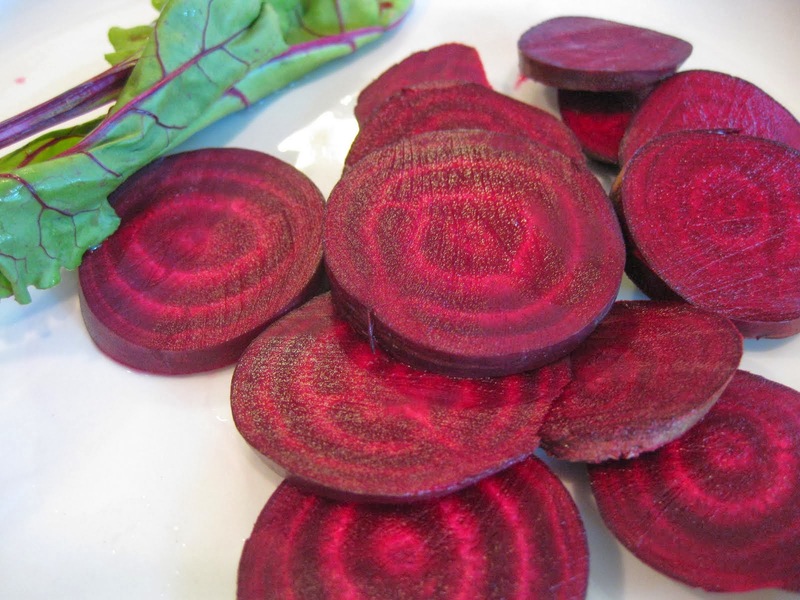 Before WWII, when foods were rationed, money was tight, and before red food colouring was widely available, aspiring home bakers used beets to attain a distinctive reddish colouring for their baking needs. 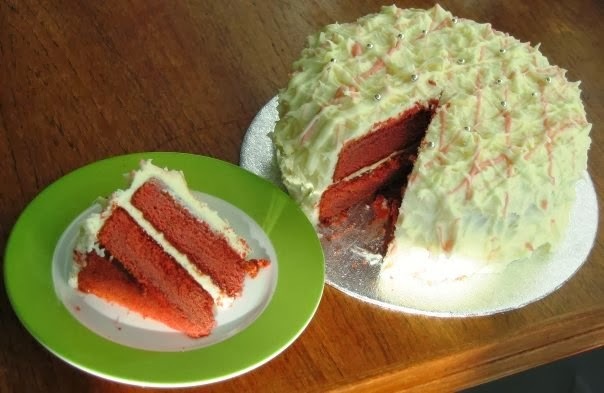 However, one of the obstacles discovered when using beets for food colouring was their sensitivity to heat; namely, the red pigmentation would look fabulous in the batter, but break down in the oven, leaving the naturally-dyed cake a less appealing reddish brown. (For more information on red food dye and potential allergens, please read this article). So, um, yeah…Beets For The Win! You can boil them in a small amount of water on the stove top, a method I have tried with limited success due to the necessity of concentrating the colour in as little water as possible so one does not dilute the cake batter with unnecessary liquid. You can also roast the beets and puree their flesh once they have cooled. This method seems very useful as it minimizes the amount of extra liquid in your recipe. 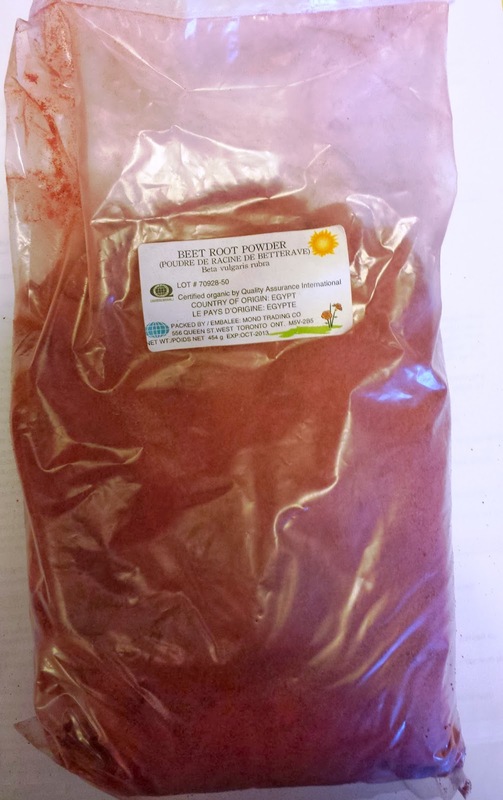 The last way I know of, a bit of a “cheater” I admit, is to use dried beet root powder, usually found in the larger health food stores. Just mix it with a very small amount of water to form a paste, and add it to your recipe. I have included two different red velvet cake recipes below; one uses liquid red food dye, and the other uses roasted beets for colouring. Another Pastry Geek friend and I researched the three different style of RVC recipes (using butter, shortening, or oil), and decided that Bakerella’s cake recipe was the best and a) most likely to taste good, b) least likely to fail, and c) least likely to kill you with unnecessary ingredients (haha). 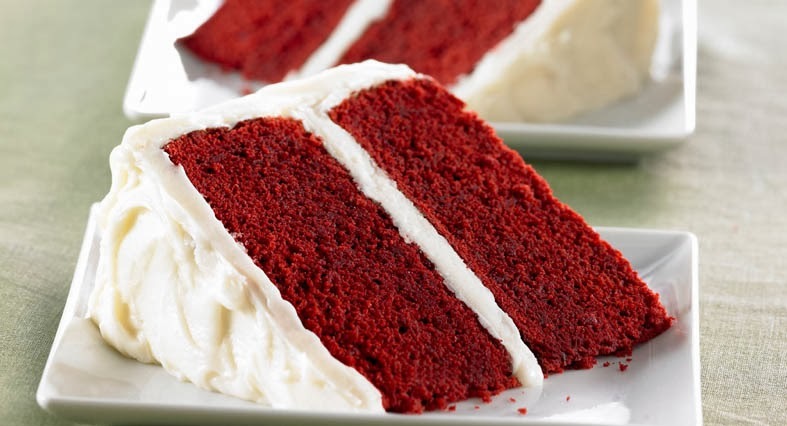 Please keep in mind that if you use the food dye recipe, you need to use the entire amount that the recipe calls for or you will not get the richly saturated colouring that red velvet cake is known for; depending on how much or little you add, it could be anything from a sickly looking pink to a weird brownish mauve. As for using beets, sadly it will never come out to that distinctive red colour of the food dye cake no matter how much you add. I have tried using both pureed boiled beets and the beet powder, and the colour of my cakes were never able to break past the “weird reddish brown” look. …and trust me; you don’t want to add more beet puree than the recipe calls for or it will change the flavour and chemistry of your cake and it will likely fail…but hey, if you do, at least your kids will get their vegetables, right? So, no pressure or anything…! Preheat the oven to 350˚F. Grease and flour two 8″ round cake tins. Whisk together all of the dry ingredients in a medium bowl. Blend all of the wet ingredients in a large, separate bowl until well-mixed. Add the dry ingredients to the wet mixture and stir until combined; do not overmix. Bake for 15-20 minutes or until a toothpick in the center of the center comes out clean. 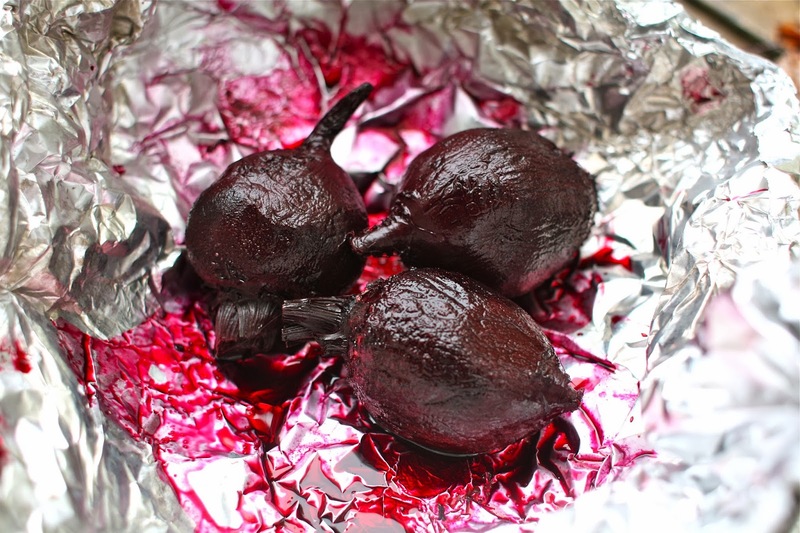 *To roast beets, chop off leafy tops, wash quickly to remove any particulate matter, then roast whole on a parchment-lined baking pan at 350˚F for 30 minutes. Add ½ cup of water to the pan after 10 minutes. When roasted, remove from oven and let cool until cool enough to handle. Peel off skins and discard. 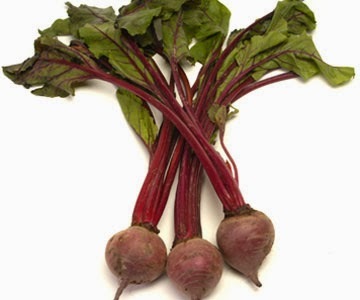 Roughly chop roasted beets and purée in a food processor or blender until completely smooth. Measure 1½ cups for your recipe. 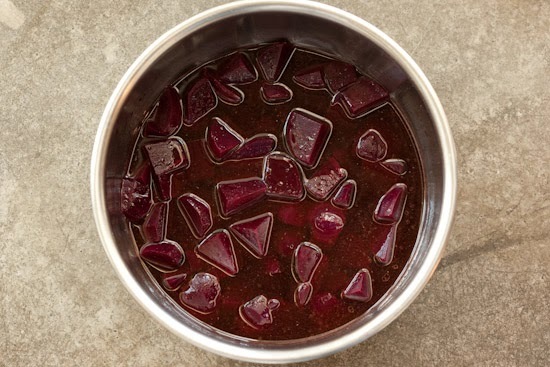 Beet puree can be frozen for up to 3 months. Add the sugar 2 cups at a time, thoroughly incorporating each batch before adding the next. Scrape down the sides in between each addition. Place egg whites, sugar, corn syrup, water, and salt in a heat-safe bowl or top of double boiler and beat 1 minute with an electric hand-held mixer to blend. Place bowl over boiling water and cook, beating constantly, until frosting forms stiff peaks, about 7 minutes. Do not over cook. Remove from boiling water and pour frosting into a mixing bowl. Add vanilla and beat until spreading consistency is reached, about 2 minutes. Previous Post Recipe and Tutorial: Gluten Free Coconut Macaroons with a Twist!